Praslin is the second largest island in the Seychelles and is the proud host of two UNESCO World Heritage Sites. One of these two World Heritage sites is the Vallee De Mai Natural Reserve. The natural reserve has been the pride of Praslin for such a long time that it is the opinion of several people that you have not truly seen Seychelles till you have visited this majestic site. 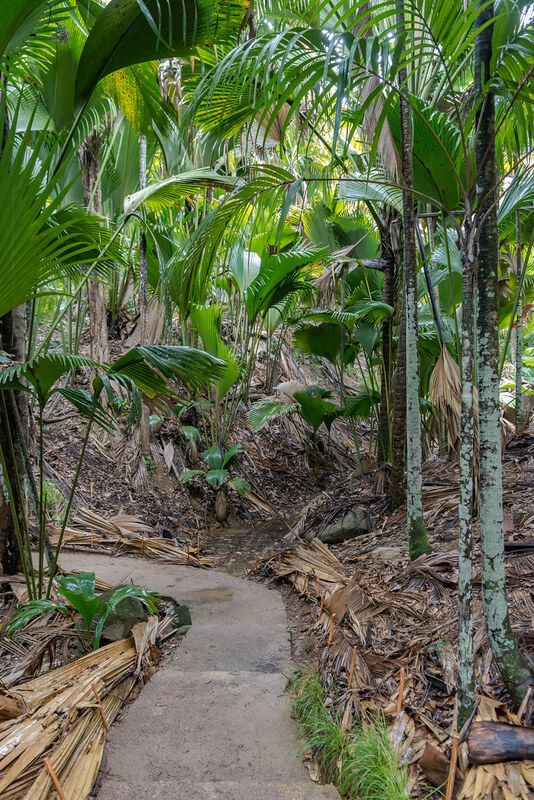 The Vallee De Mai Natural Reserve is the heart of Praslin and is home to the rare Coco De Mer trees which have the largest seeds in the world. The reserve is in the form of a huge palm forest with several rare flora and fauna some of which cannot be found anywhere but in this reserve. These primaeval forests are so astoundingly beautiful that they were believed to be the site of Eden Gardens. The natural park is a bird lover's haven and the habitat to the endangered Black Parrot. Aside from the reserve itself, the islands highest mountain, Fond Azore, also towers over the reserve and is the very reason for many of the awestruck tourists to flock at Vallee De Mai Natural Reserve. The place also has several trails and guided tours that will be sure to make you feel re-connected with nature. The site also has a souvenir shop and cafes for some trinkets and refreshment. It is recommended to travel with a guide and read a bit about the place to truly understand and appreciate its beauty. The nature reserve and its palm forests, which form a canopy and entrap the visitors in a trance of a mystic and secluded aura, have a lot of legends attached to its name. The beauty of the reserve, as well as the unique nature of the flora and fauna, has befuddled several of its visitors. In the earlier days, the Vallee De Mai was often said to be the Garden of Eden under the pretence that the palm tree was the tree of knowledge whereas the breadfruit tree was the tree of life. The Coco De Mer's reputation as an aphrodisiac also made early theorists deem it the 'forbidden fruit'. Myths about how the nuts of the Coco De Mer have magical healing properties have also persisted and have been the main reason for several cases of poaching and smuggling. The Coco De Mer has also got its name due to one such myth that states that the trees grew deep in the ocean (Coco De Mer is French for Coconut of the sea). The Vallee De Mai Natural Reserve offers a map at the entrance that is marked with a total of three paths- the central trail, cedar trail and the circular trail. The central trail is the most common amongst the tourists; however, it does not offer the complete experience of flora and fauna of the natural reserve. The circular trail has excellent viewing points for pictures and scenic views. The Glacis Noire Trail is a trail through the 18-hectare land and takes about 2 hours. The trail is also wheelchair accessible. 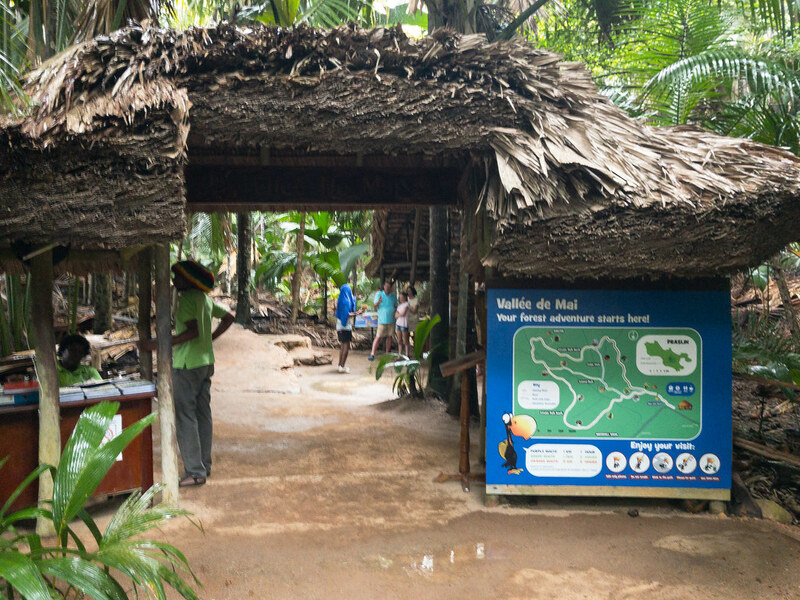 The reserve provides several guided tours amongst which is the free guided tour by the Seychelles Islands Foundation that has to be booked before visiting and are highly recommended. The tours provide greater insight and information that tends to be overlooked when not paying close attention. The natural reserve has been home to several rare species of plants, as well as insects, and other creatures. The main attraction of the reserve, however, remains to be the Coco De Mer Trees. The reserve has around 1400 protected Coco De Mer trees, the oldest of which is around 300 years old and a startling height of 27 metres. These endangered species of trees produce the largest seeds in the world and are endemic to this island. The reserve is also the only place in the world to have all six of the Seychelles endemic palm species in the same premise. Aside from this, the reserve is also home to some rare and unique fauna such as the tree frog, blue pigeon, Seychelles Kestrel, Bulbul, and the Sunbird. If lucky, visitors may also get to see or at least hear the extremely rare Black Parrot which frequents the reserve. The Gecko and the Seychelles Snail are also found amongst the palm trees. In all the reserve is home to at least 14 different kinds of reptilian species. A ferry can be taken from any other island in Seychelles till Praslin Island. Once at Praslin, a car or bus can conveniently lead you to the Vallee De Mai Natural Reserve. The bus stop is just a few minutes away from the natural reserve.